It’s been a few days since Yu Higuchi announced that he would not be developing any more versions of Miku Miku Dance . In the days following the announcement, there have been a recent increase in violations of the basic guidelines of MMD usage regarding the distribution and usage of Miku Miku Dance Models ranging from mildly annoying to downright illegal. This has understandably upset Japanese and Non-Japanese members of the MMD community alike. Upon request, we at Vocaloidism would like to repost the basic guidelines of usage for Miku Miku Dance as written by the wonderful editors at the Vocaloid Wiki. The guidelines follow after the break. HiguchiM, the MMD platform author, does not own any MMD models. 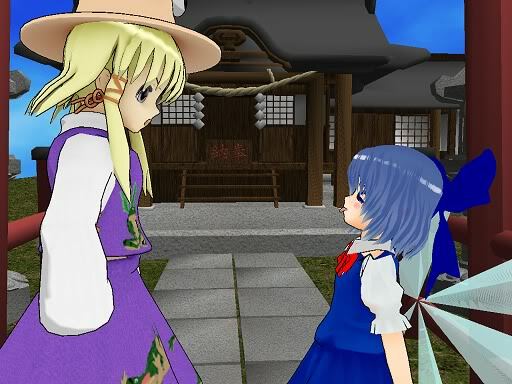 The default models except for Meiko Sakine were created by Animasa and the default Sakine model was created by Kio. Both creators permit the edit and redistribution explicitly. HiguchiM does not guarantee to the use of fanmade models. Only the default ones are guaranteed. The tacit rule among MMD creators is this. If the model producer announces that he/she approves the edit and redistribution, you can do; if he/she does not approve you may not do. In other words, if the author says nothing about the secondary processing, it means NO. You can do only what a creator says yes. Notice: If you do not understand the Japanese usage rule or readme, you should refrain from redistributing or processing the model. Please remember, too, that the machine translator is not fully trustworthy especially when translating languages from totally different families such as Japanese and English. Just to make it clear: Not following the tacit rule in item #4 is not illegal, however it is highly discouraged and is often the rule most broken by MMD users. We do not encourage any user to take any chances when it comes to editing or redistribution of models that have not been explicitly permitted. If you think there is a risk of the producer getting upset, don’t take it. More details regarding the usage of MMD can be seen here . We ask that all MMD users consider these guidelines when editing or downloading models. There's obviously a lot of drama in the MMD community. However, MMD is just like every other type of art on the Internet. There is no excuse to use works without permission. Even "bases" must be used with caution. Please respect whoever makes the models. I don't like to hear negativity about the MMD community. It's such a great piece of software but if it has bad fans to go with it then all the work is for nothing.